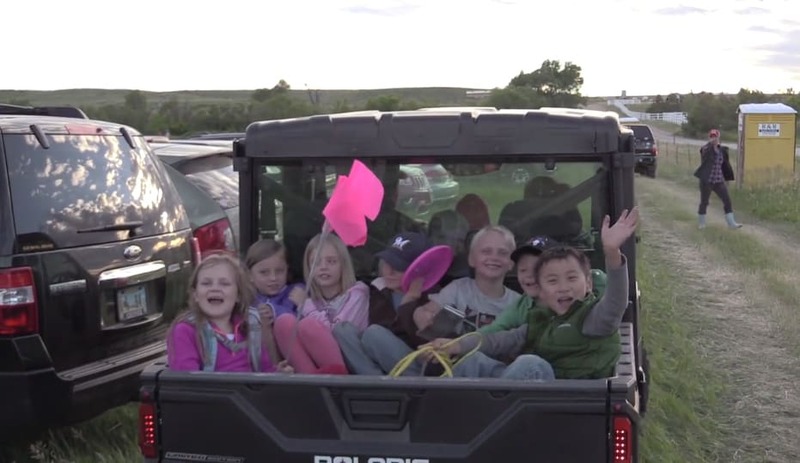 Wyoming schoolchildren head out to collect bugs as part of a Biodiversity Institute program. The institute engaged thousands of Wyoming K-12 students in hands-on science. Imagine you’re a multimillionaire. You’ve got a big mansion, a private jet, excellent health insurance—the works. You’ve got so much extra money, in fact, that you decide to engage in some philanthropy—maybe you can get a hospital wing or a football field named after yourself. You look around and decide that Wyoming’s sole university is where you want to invest. It’s fallen on some tough times recently, but surely it remains an institution where your generous donation will be put to good use. Perhaps your gift could help establish an institute that would grow and benefit Wyoming for generations. But then you turn on the news and learn that the University of Wyoming has made a huge mistake—some wealthy people like yourself donated millions of dollars to UW to create a successful institute, just like the one you had in mind. But instead of supporting and developing the institute, the university dropped the ball—its leaders failed to figure out how to make the institute sustainable. Now they plan to shutter it, just six years after its creation. To make matters worse, the reporter says that the donors who helped create the institute weren’t even told that it was being closed—they learned from a news story. Sadly, this is not a work of fiction (except the part about you being a multimillionaire). Late last month, the University of Wyoming announced the closure of its Biodiversity Institute at the end of 2018. Since 2012, the institute has been a clearinghouse at UW for biodiversity-related research, education, and community outreach. It was founded thanks to the generosity of Robert and Carol Berry, Sheridan-based insurance magnates who gave UW the biggest cash gift the school ever received. The Biodiversity Institute has been, by all measures, a shining success. On top of the biological research, graduate student training, and other on-campus activities, the institute also conducts a robust slate of public programming and citizen science initiatives. The university’s fundraising arm, the UW Foundation, simply never bothered to raise money to support the institute. In partnership with local school districts, for instance, Biodiversity Institute programs engage thousands of Wyoming K-12 students in hands-on science learning that schools alone could not provide. In addition, the institute’s community programs, like the popular bi-annual “Moose Day” surveys, engaged hundreds more regular Wyomingites in citizen science. The Berrys’ gift was never meant to sustain the Biodiversity Institute forever. The idea was that their money would get the ball rolling, get the institute on firm footing, and then the university would find a way to continue to fund the institute’s roughly $800,000 annual budget. But that never happened. The university’s fundraising arm, the UW Foundation, simply never bothered to raise money to support the institute, despite setting fundraising records in recent years on behalf of projects like a new state-of-the-art athletics training facility and the School of Energy Resources. It seems as though if it ain’t football and it ain’t oil and gas, the UW Foundation ain’t interested. In the fundraising world, there’s a thing called “stewardship.” The term refers to the way the recipient of a donation, like UW, uses money gifted to it. “Good stewardship” involves using donated money in an agreed-upon manner and generally putting it to productive use. This is essential to successful fundraising because it builds trust among potential donors. If rich folks can see that an organization is a good steward of the donations it receives, those folks will feel more comfortable giving. The University of Wyoming’s handling of the Berry’s gift for the Biodiversity Institute is the exact opposite of good stewardship. The school’s administration has, in effect, wasted millions of dollars it was given. Among the small group of people who would potentially give the University of Wyoming an eight-digit gift, word is certainly getting around. UW’s handling of the Berry’s gift is the exact opposite of good stewardship. But perhaps this apparent blunder is not terribly concerning to UW administration because the university figures it can always count on oil barons like Dave True, the current UW Board of Trustees chairman. In fact, donors like True may be pleased by the Biodiversity Institute’s closure. After all, the less Wyoming students know about biodiversity, the less they’ll care about the threats oil and gas development pose to it. The announcement of the Biodiversity Institute’s closure comes almost exactly one year after another announcement: that UW would launch a “task force” to increase community engagement. Community engagement, as the Carnegie Foundation defines it, is “the collaboration between institutions of higher education and their larger communities for the mutually beneficial exchange of knowledge.” UW has said it hopes to obtain the Carnegie Foundation’s prestigious Classification for Community Engagement, which is awarded to schools whose students, faculty, and programs meaningfully interact with their surrounding communities. The Biodiversity Institute’s citizen science programs were the very definition of successful community engagement—average citizens working with scientists to broaden our understanding of the world. The institute was easily the strongest engine at UW for community engagement. Its closure will significantly decrease meaningful interaction between UW and its surrounding communities. Tellingly, a university spokesman told Wyoming Public Radio that the institute’s citizen science and community outreach programs were “not scholarly” or “impactful”—even though scholars absolutely use citizen-derived data in academic research, and community outreach tremendously impacts those who take part in it. The spokesman’s comments, however, seem to reflect the university’s overall dismissive attitude toward community engagement. This is likely why UW continues to be alienated from its surrounding communities in Laramie and Wyoming. The abrupt closure of the Biodiversity Institute is just one in a string of recent missteps by university administration. In 2017, the UW Board of Trustees seized control of departments’ research funds, “sweeping” the money into one big pot under the trustees’ control. Some trustees eventually admitted that this was a mistake and departments can now apply to have their money returned. But not before the move cost UW $15 million in appropriations after the Legislature noticed that the school suddenly had a huge reserve fund that it was using, among other things, to buy a new airplane. Last spring, the Board of Trustees attempted to grant itself the ability to fire tenured faculty members and eliminate academic departments for any reason it saw fit. The trustees ended up backing off this proposal as well. But the move increased the perception on campus that that trustees mean to solidify their power by any means necessary. These actions indicate that campus leaders neither understand the on-the-ground conditions required to run a prosperous university, nor do they particularly care to learn them. “Because there was no transparent consultation, we will never know why or how the decision [to close the Biodiversity Institute] was made. We will never find out who participated in it. The decision came as a surprise to funders and to the many faculty, students, and citizens that take part in the institute’s activities. The decision to close the University of Wyoming's Biodiversity Institute will hurt the school's fundraising and community engagement efforts—not to mention scientific learning on campus and throughout the state.